Freeze-drying, in the past popular in the food industry, has more recently been adopted by the pharmaceutical industry as a standard method for the production of stable solid preparations. Freeze-drying of Pharmaceuticals and Biopharmaceuticals is the first book to specifically describe this process, as related to the pharmaceutical industry. The emphasis of this book is on the properties of the materials processed, how effective formulations are arrived at, and how they are stored and marketed. 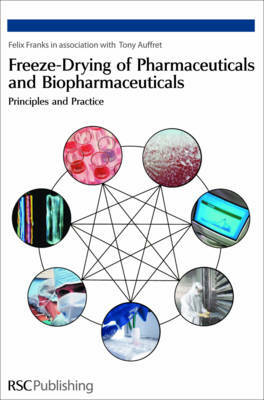 Beginning with a historical overview of the process, Freeze-drying of Pharmaceuticals and Biopharmaceuticals briefly describes the processes and equipment involved, including: the physics, chemistry and biochemistry associated with freezing, aspects of formulation development, primary and secondary drying; the economics and engineering of scaling up; and, most importantly, attributes of the dried product. It also discusses in detail the science behind freeze-drying, such as the properties of crystalline and amorphous solids. The book concludes with selected case studies and discusses the future of freeze-drying, advances in alternative drying methods, and concludes with an extensive bibliography. This book, written by a leading expert in the field, is aimed primarily at product and process developers in the biopharmaceutical industry and academia.